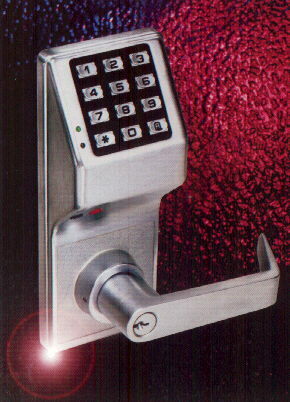 Features multiple security levels that surpass even the most discriminating consumer needs. 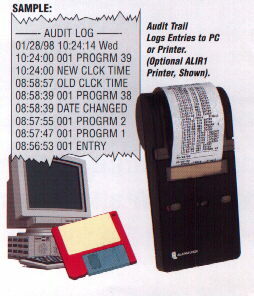 Optional Hand Held AL1R1 Infrared Printer may be used to print out the event log and the user codes. Audit trail Logs entries to PC or Printer. Can be used to collect LOG information from up to 48 locks before returning to the PC. Also available DL windows Software Windows format software for easy programming. Scheduling and log viewing.